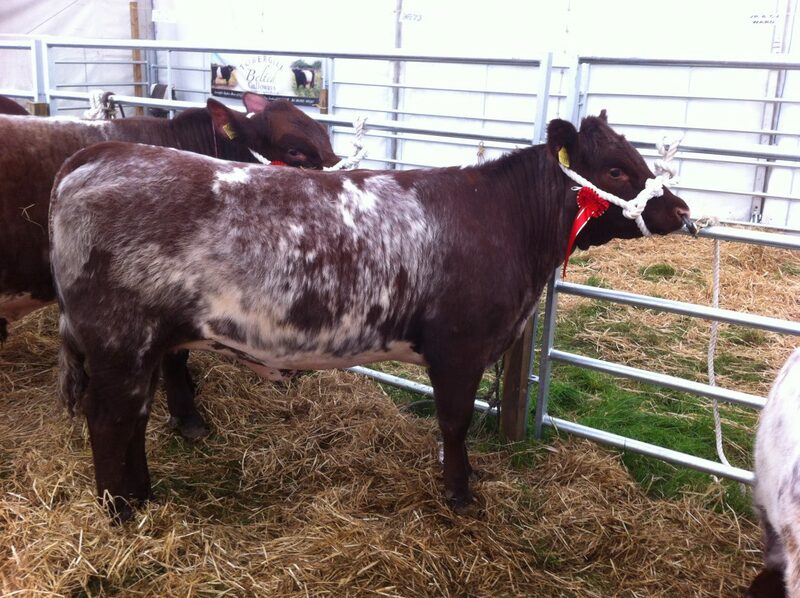 It was a great day at Ayr Show yesterday (Sunday, May 11th) where we took home a trio of first prizes and one second prize for our Shorthorns. 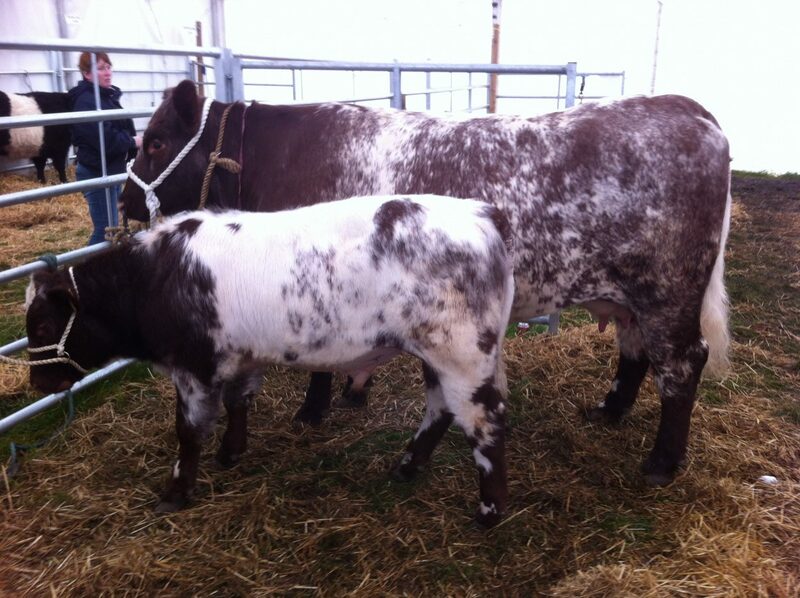 We won first prize in the cow class with Quoiggs Rhona E530 and her bull calf Mohmar Hercules (pictured above), a first prize in the yearling heifer class with Mohmar Gracious Broadhooks (below). 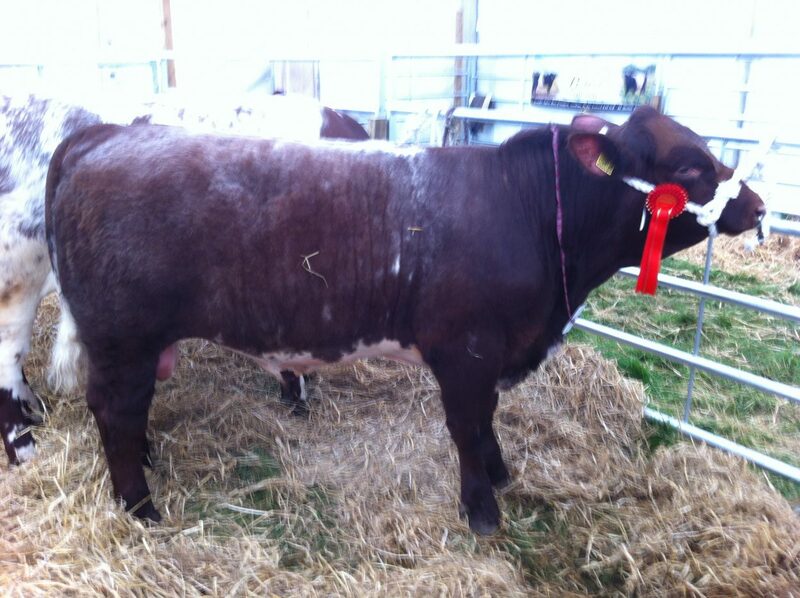 And our final first prize went to Mohmar Genghis Khan in the yearling bull class. We were second in the Beef Shorthorn pairs and John McCulloch, son of HW herdsman George, won the junior young handlers class and the Kemira UKF Fertilisers Ltd Trophy for the champion beef young handler.